You need to enable single key shortcuts first. To do this, open the Preferences dialog and under General, select Use Single-Key Accelerators To Access Tools option. 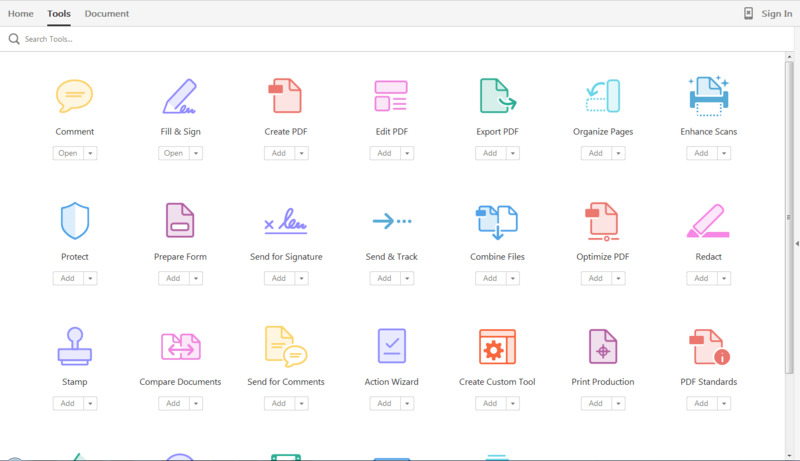 Adobe Acrobat is a software to to view, create, manipulate, print and manage files in Portable Document Format (PDF). Not to be confused with Adobe Reader, which is used just to view and print PDF files. What is your favorite Adobe Acrobat 2017 (Windows and Unix) hotkey? Do you have any useful tips for program? Let other users know below.